This week, I decided it was time to participate again in Lolli's Give Me Your Best Shot. Check it out and see everyone's Best Shots. Ivy loves dress up. She will start her day begging to play dress up. 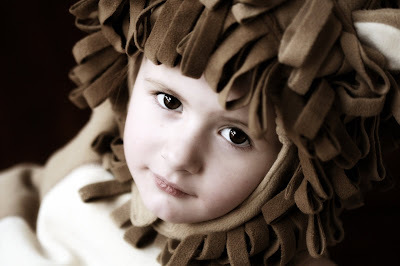 The other morning, she went and got her old lion Halloween costume. She wore this costume when she was 11 months old. It was a little big then but I didn't think really big. She can still wear the costume and fasten it- 3 1/2 years later. She insisted I take some pictures of her. Here are two pictures that show just how different she is but the costume the same. That's so adorable! 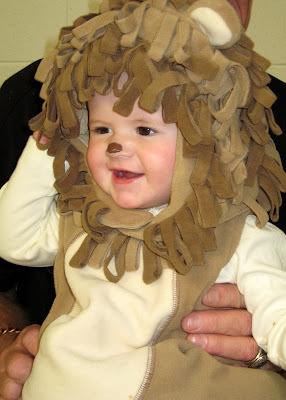 What's funny to me about these pictures is that my kids have done the same thing with favorite Halloween costumes. She has those posey eyes down in that first shot! What a beauty! Don't you love it when they drag out the Halloween box? And who said kids were allowed to grow up that much that fast?? Visiting from Lolli's place...great shots!